The Seattle Department of Transportation has opened voting for Neighborhood Street Fund projects through Sunday, May 5. 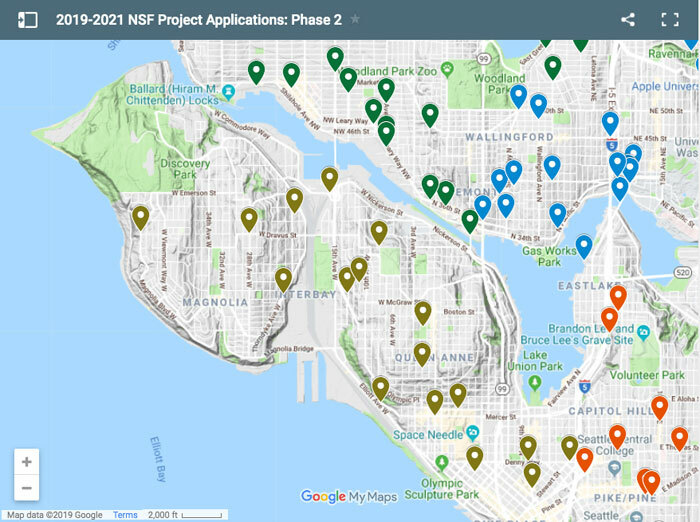 Residents can cast one ballot per city council district and choose up to five projects they want to see move forward for final selection by the Move Seattle Levy Oversight Committee. Voting is open to any 11 years of age and older. People can fill out a ballot at their local library or online. District 7 projects that can be voted on include ADA ramps at Magnolia Boulevard and Dravus Street, a traffic light at 28th Avenue West and West Dravus Street, traffic calming across Queen Anne, a Park2Park Greenway between West Highland Drive and West Galer Street on Second Avenue West and Uptown curb bulbs. A full project map is available here.